This chocolate eggnog martini recipe is such a wonderful combination of Kahlúa, vanilla vodka and eggnog! It’s smooth as silk and so balanced you have to remind yourself there’s liquor in it. Something that’s very hard for me to do is choose my favorite holiday cocktail. There are so many good ones! If I want something hot, I’ll make the Snowplow Cocktail. If I want something frozen and pretty, I’ll go with the Jack Frost Cocktail. If I feel like something fun and sweet, I’m all over the Chocolate Candy Cane Martini. 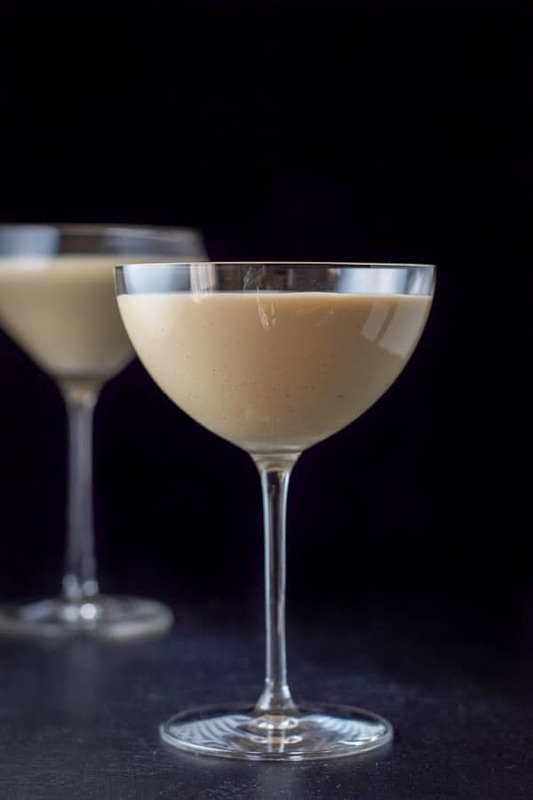 BUT, when I’m feeling like a cocktail that is totally balanced and goes down super smooth, then I’ll make this delicious chocolate eggnog martini. You have to be careful when imbibing it, though, because you might forget you’re drinking liquor. Just a warning! Kahlúa is coffee flavored, so why the chocolate title? What if I don’t have vanilla vodka? Can I use another flavor? Although Kahlúa is sold as a coffee liqueur, it tastes a lot like mocha (coffee + chocolate) to me. And in my opinion, Kahlúa is perfect in this recipe, because you need its bolder-than-chocolate flavor to balance the rich eggnog’s. But if you prefer a pure chocolate taste, then go with a Godiva chocolate liqueur. Yes! Another awesome flavor to use is caramel flavored vodka. It is a good alternative if you don’t mind that it sweetens the eggnog martini somewhat. If I’m serving this at a holiday party, I will make it in a small punch bowl. People adore the eggnog martini served this way. When serving the martini punch-style, lay out some nutmeg in a pinch bowl so your guests can take a pinch and sprinkle it on the cocktail themselves. Fill your cocktail shaker halfway with ice and get your martini glasses. After you measure out the ingredients, pour them into the cocktail shaker. 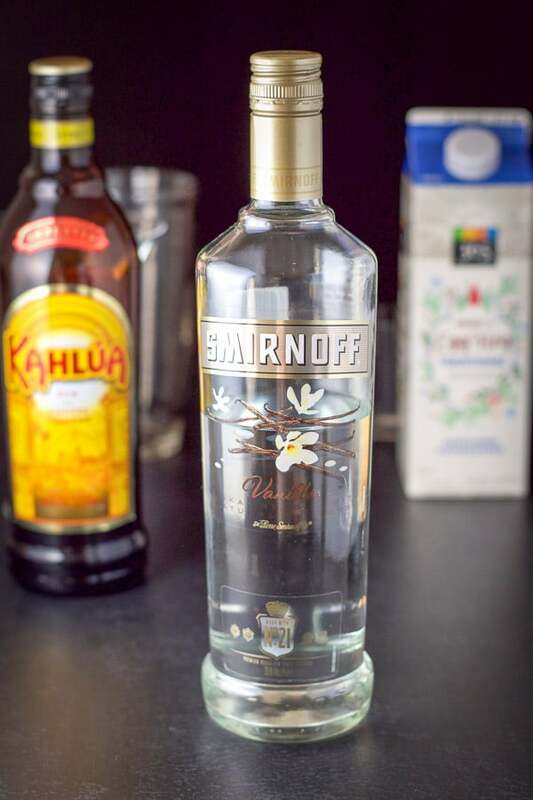 Gather the ingredients – Vanilla vodka, Kahlúa and eggnog. 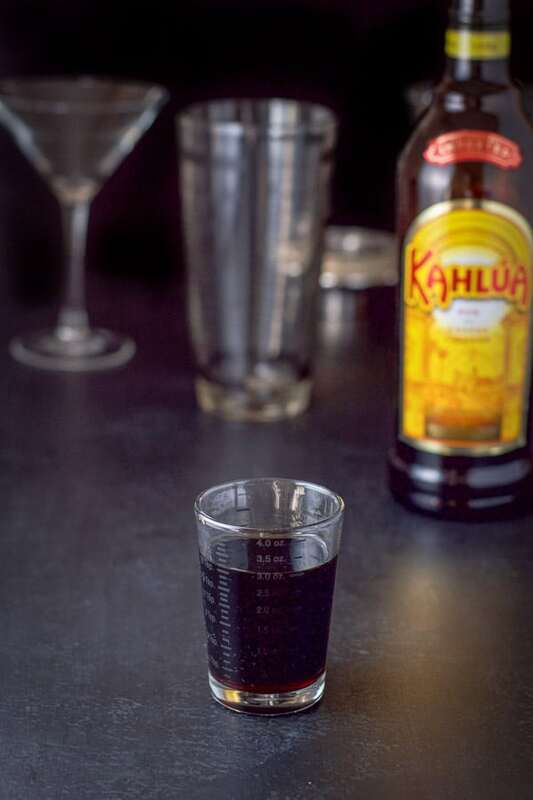 Measure out 3 ounces of Kahlúa. 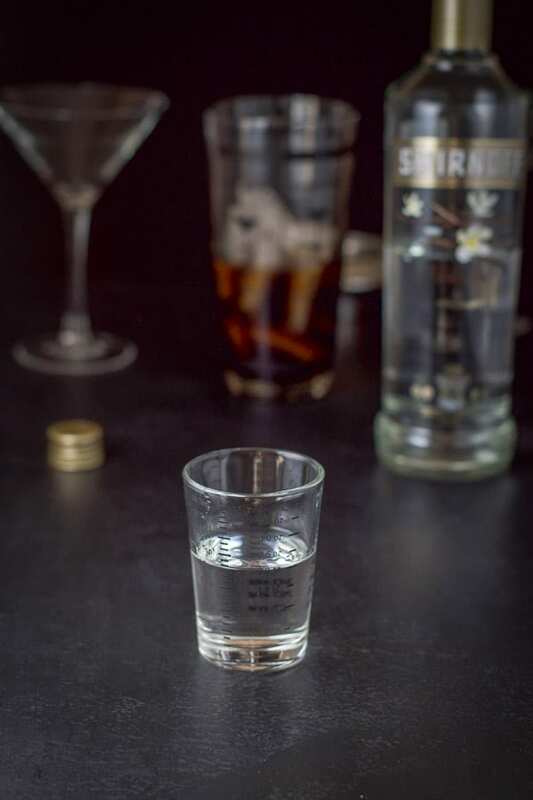 Measure 2 ounces of vanilla vodka. 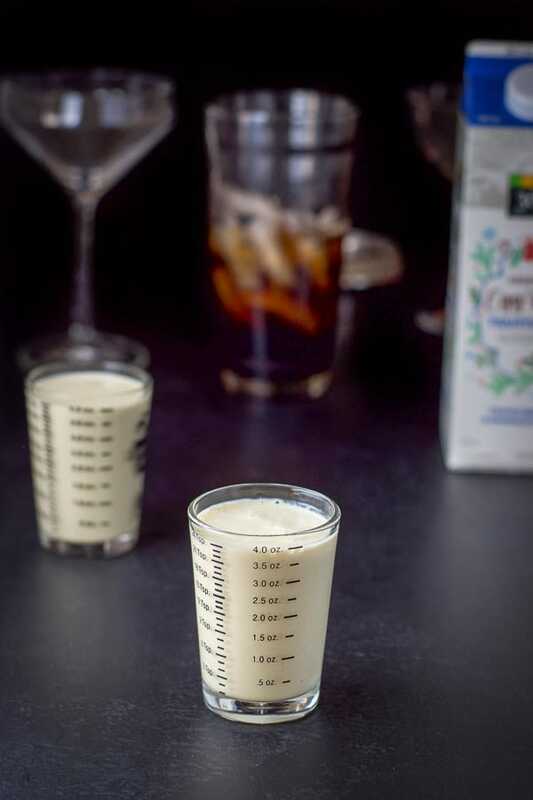 Measure out 8 ounces of eggnog. Cap the shaker and shake for 20 seconds. Divide the chocolate eggnog martini between two martini glasses. Sprinkle ground nutmeg on the top of the cocktail. 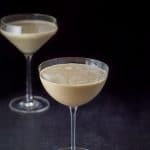 I hope you enjoyed this chocolate eggnog martini recipe! If you’ve tried this Chocolate Eggnog Martini I’d love the hear what you thought about it in the comments below. I love hearing from you! You can also FOLLOW ME on FACEBOOK, TWITTER, INSTAGRAM and PINTEREST to see more of my delicious food and delightful cocktails! With only 3 ingredients, this eggnog martini is smooth and perfect to serve around the holidays! Mmmm my kind of cocktail. Best of both worlds, chocolate and eggnog! Oh how pretty! This looks like a dessert and a drink all wrapped up with a bow in a cocktail. Beautiful! 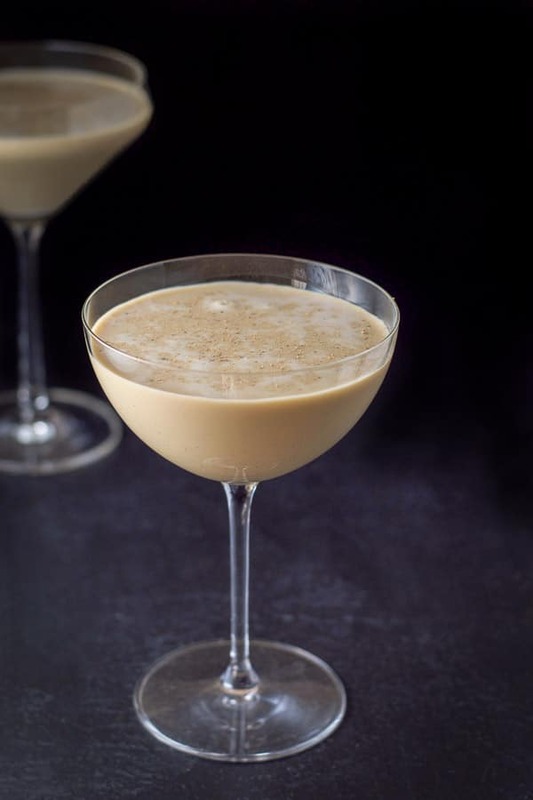 I absolutely LOVE eggnog and martini, so this has my name written all over it! Can’t wait to serve this up over the festive period! Oh yes please. I’ll have one of those right now. Wish I could blink and it showed up in your house. 🙂 Thanks Jacqueline! I just love how your post answered every question in my head! 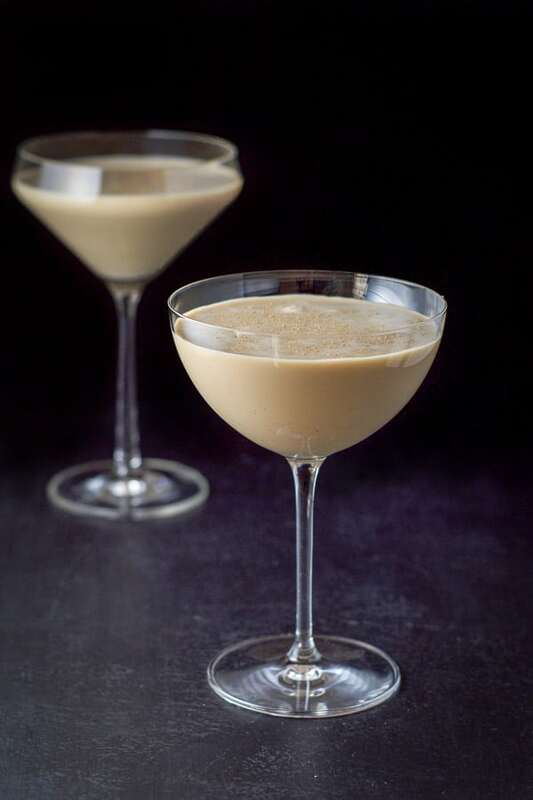 This chocolate eggnog martini sounds amazing. Saving to try! This is a gorgeous looking, delicious sounding cocktail! Perfect for the season.